Welcome to the Rushall Primary blog site! 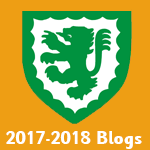 Throughout our school we have a number of blogs to share our learning with a wider audience of our parents, each other, the community and beyond. Our blogs showcase the wonderful broad and balanced curriculum at Rushall. The children love receiving comments from all over the world. Our Celebration Blog celebrates whole school events and reflects the positive and inclusive ethos of our school. Look at this blog to see British Values in action, our school assemblies and our children shine! At Rushall we are very active and our children take part in a wide range of sports and competitions. Our Sports Blog showcases our fantastic sporting efforts and achievements. The PAWS Blog, (Parents At Work), celebrates our fabulous before and after school club! To comment on a blog, click on the post you are interested in and click ‘leave a comment’, then enter your name and your wonderful comments.